A stray 3.5-meter crocodile decided to venture into a Queensland garden on New Year’s Eve and puzzled neighbors decided to get creative with how to lead the creature back to water. 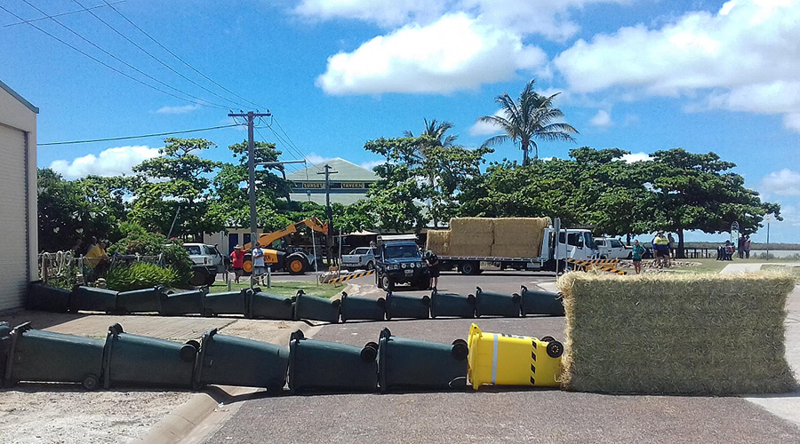 Locals from the Aussie town of Karumba, along with the help of police, initially tried to funnel the crocodile back in the direction of the water by using a line of wheelie bins to form a path, but unfortunately, these efforts failed. 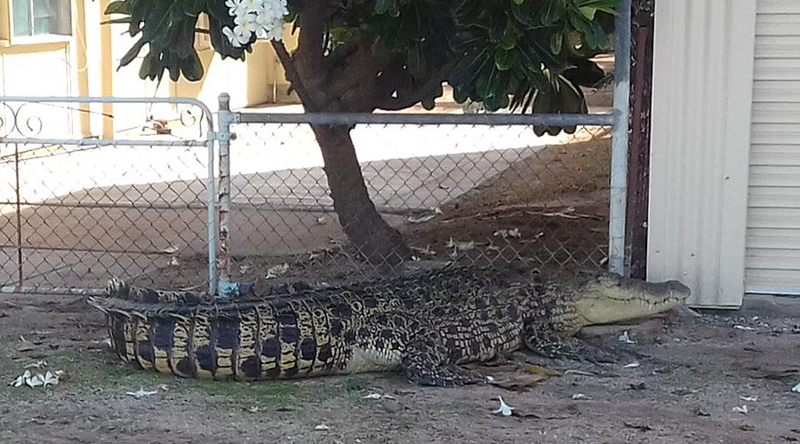 The croc decided it would rather stay put in the backyard for a few hours where it enjoyed the morning sunshine before moving to the front gate where it stayed for the remainder of the day, according to Queensland Police. The reptile was then boxed in with hay bales until wildlife experts from nearby Cairns arrived at the scene to assist in the croc’s removal to a nearby holding facility. Once temperatures have cooled sufficiently, the crocodile will be moved to a crocodile farm in Cairns, Acting Police Sergeant Jim Richards told ABC. 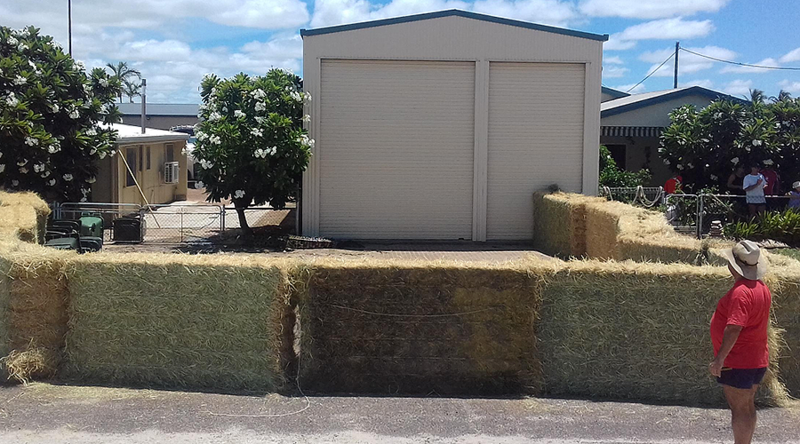 “[Currently] he’s tucked in a trailer in a shed that’s obviously shaded so they’ve got wet bags on him to keep him comfortable so he’s fine at the moment,” Richards said.